Yes� opening ceremony of a grand event (even of the earthly realm) say Olympics signaling the imminent arrival of the exciting sporting action is always celebrated with pomp and gaiety (with special songs thrown into the mix), so as to say that the best is on its way. Spiritually speaking, there would be no grander event in human history than the Almighty in His spirit beginning to indwell us and subsequently preparing us to spend Eternity with Him (2 Cor 1:22/ Eph 1:13-14). The prophecy to this effect (Eze 36:26-27) would be fulfilled on the day of Pentecost (Acts 2:37-38/ Rom 10:9-10). No wonder in anticipation of the same, Christmas being akin to the opening ceremony which would trigger a �chain reaction� required involvement of the Heavenly choir itself (nothing more, nothing less and nothing else- Luke 2:8-18) on the first Christmas 2000 years ago. In this message, Yours truly intends to draw some paramount lessons from Christmas using some alliteration�a la Biblical Preacher of yore (Pro 12:10). As I hinted before, Christmas by itself would not make one a �Temple of God� (1 Cor 3:16) but it would prompt a start of the process towards the attainment of that ultimate privilege. If Christ child (aptly named the Saviour- Matt 1:21) had not been born on the Christmas day, His atoning death involving shedding of the precious blood would not have been possible about 33 years later (the day we commemorate as �Good Friday�- 2 Cor 5:21/ 1 Peter 1:18-19), if not for His substitutionary sacrifice, the fact that the same had been accepted by God would not have been affirmed on the Resurrection Day three days later (Rom 4:25) and finally but for all the preceding events beginning with Christmas to cleanse us and make us fit to be Temples of God, on the Day of Pentecost that great privilege of repentant human beings becoming His �Sanctuary� would not have come to pass. In the O.T. Section of the Bible (where all Christ-related signs and prophecies converge on Him- Heb 1:1), we see the Lord�s presence came to indwell the Temple King Solomon (1 Kings 8:10) had built only after �countless cattle� had been sacrificed before (1 Kings 8:5). In the N.T. Section all the signs and prophecies which would converge on Christ before His advent, would now emerge with the proclamations� of He being the �Divine Lamb� beginning (in the earthly realm) with that of a Prophet such as Simeon� and later on the Messianic forerunner�John the Baptist (Luke 2:25-38/ John 1:35). Jesus could have accomplished everything as per the Heavenly Father�s plan (1 Peter 1:1-4) without even a single prophecy. 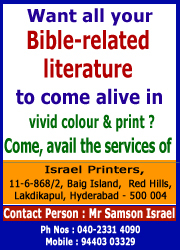 Now let�s address this question�why the Bible abounds with not only Christmas prophecies (Gen 3:15, Isa 7:14, Micah 5:2) which were fulfilled on the First Christmas day but also prophecies relating to other milestone events in Jesus� life such as His substitutionary death on the Cross (Isaiah 52:13-15/ Isaiah 53) till the grandest event of He indwelling us in spirit (Gal 4:6)! Whilst answering let me illustrate� some years ago during Christmas time, the womenfolk of our Church went to a reasonably distant Departmental store to buy gifts for the widows/orphans/Sunday school children of our Church. When, they came back it dawned on one Sister (in faith) namely Sunita Benny that she had forgotten her purse containing many valuables in the parking lot of a huge, busy commercial complex. Praying profusely, the entire �Purchase committee� rushed back to that hustling, bustling area after full one hour (traffic snarls you see) where a unguarded purse has as much chance of remaining unpicked as an ice-cube would have of not melting in a fiery furnace. Hallelujah, they found it safe and secure! the significance of the Prophecies in being wonderful facilitators for Gospel preaching and subsequent soul-winning would emerge with no shades of grey!!! 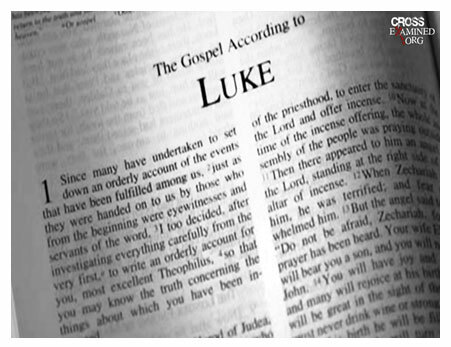 Ever wondered, why the good Lord got the Christmas narrative �projected� so to speak from Mary�s perspective in Luke�s Gospel only and not in any other Gospels (for instance in Matthew�s Gospel, we get to see the Christmas story from Joseph�s perspective)? If at all, there could have been any person who could have logically objected to a virgin birth, it would have been a Doctor and who was Mr. Luke�a Doctor (Col 4:13) Ladies and Gentlemen!!! Any one still around, doubting the miraculous virgin conception and birth�. Now why Virgin birth? No one before Jesus or after had been born to a Virgin. As Divinely foreordained spotless, sinless sacrifice for the sins of mankind (Rev 13:8/ I Peter 1:19), virgin birth provided that �Lamb� which was sinless from not only it�s birth but right from it�s conception onwards. Also as a perfect mediator (1 Tim 2:5-6), He would be a Son of Man (of Mary), representing human interests before the Almighty and a Son of God (conceived by the Holy Spirit � Luke 1:35), representing the interests of the Almighty before men. Also since, it was Eve (2 Cor 11:3) who was first deceived by the Crafty Serpent, Divine justice required that only the �Seed of Woman� (note-not seed of Adam and Eve but only �Eve�- Gen 3:15/ Gal 4:4) trample the head of the serpent. The key operative words in the afore-referred Scripture are �when the fullness of time had come�. The all-wise Heavenly Father who had set-up the �stage� (before the �First Adam� arrived (Gen 1:1-28) was bound to keep the �stage� ready before the advent of the �Final Adam� too (another name for our Lord- 1 Cor 15:45). 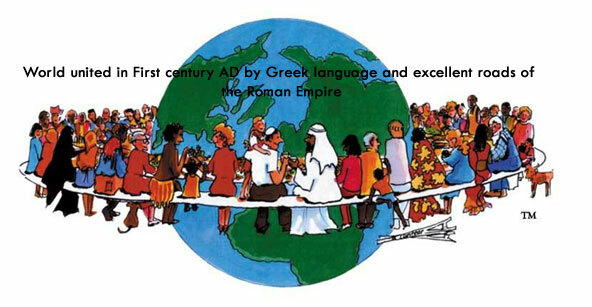 Now consider these facts�by the time our Saviour arrived�the World was readied so to speak, to facilitate Gospel proclamation by its unification by virtue of not only a single language (at that time Greek) courtesy the Greek rulers but also by excellent roads (subsequently) connecting most of the vast Roman Empire (thanks to Roman Emperors). Minus these �facilities��Apostle Paul�s three missionary journeys would not have fructified at all!!! 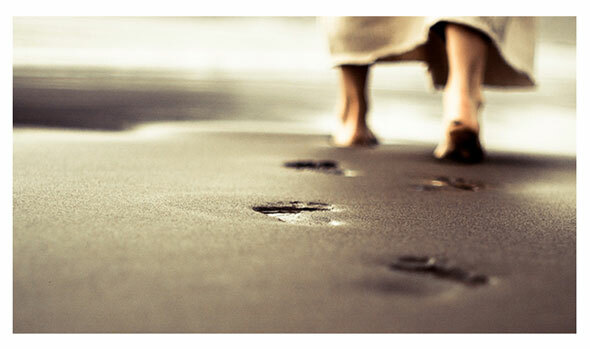 All glory be to our Heavenly Father whose wisdom can never be measured who kept everything in its place for the arrival of His Son...for the Good News of Christ-oriented salvation had to travel to the ends of the Earth�about 3 decades later. 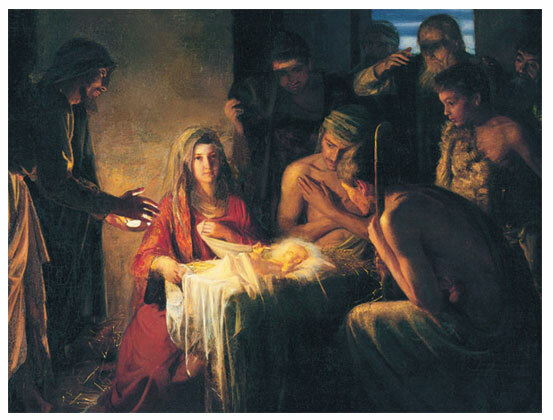 Dear Friends�if witnesses� (read lowly shepherds) of Jesus� First advent could not contain the Good News to themselves but shared with everyone they met (Luke 2:17-18), how much more it is binding on us to share the Good News of His birth, (which resulted in our �rebirth� - 2 Cor 5:17/ 1 Peter 2:24) oozing contagious joy (which ought to be flowing inside- Luke 6:45/ Luke 6:37-39) with everyone we come across this Christmas season and beyond�of course with love and humility (1 Peter 3:15) after establishing our rapport with them (1 Cor 9:19-23)!!! During Christmas season speak about your �rebirth� lovingly which was a consequence of Jesus� birth on Planet Earth (the Apostolic norm of first personal witnessing and then Gospel sharing has to be followed- Acts 8:25) to everyone who comes visiting (secular friends who come wishing, milk boy, Newspaper vendor, Internet Bill Collector etc etc) handing over to them in the process a calendar (bearing day-wise Scripture verses), a Gospel tract and a piece of cake. Whist praising God during the Christmas season for fulfilling many Biblical prophecies as regards our Lord�s First advent, it would serve us well also to meditate on imminent rapture of the Church too, heralding His Second advent (7 years later). Pure simple logic states that if all the Christmas-related prophecies regarding His First advent were fulfilled on Christmas day, then prophecy regarding His Second coming also would be fulfilled. Soon we would be all �propelled� not by any rocket power but by His power into the mid-sky (Isa 26:27-28/ 1 Thess 4:13-17). 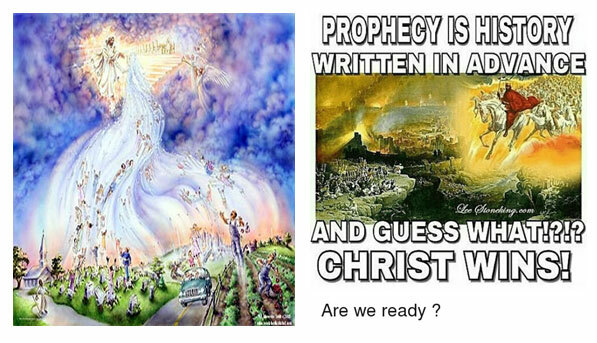 Signs pertaining to the fulfillment of rapture-related prophecies of the Church are abounding. Pertinent amongst them are the return of violence of Noah�s days and immorality of the Lot�s days (Gen 6:11/ Gen 19/ Luke 17:26-20) what with escalation in terror attacks everywhere and legalization of homosexuality. Come Lord Jesus soon to reign not only in our hearts as you did after the First advent but to usher in soon your peaceful and just rule in the whole world itself!! !